Lawrence House School opened in 2010 and is registered as an Independent Special School (DfE 340/6001) operating across five Children’s Homes in Merseyside run by Quality Protects Children Ltd. There is a range of information the school is required to publish under the Independent School Standards and this can be found here (Ofsted and Other information). 53% of children living in children’s homes have a statement of special educational needs or an Educational, Health and Care plan, and a further 28% have identified special educational needs without statements or EHC plans. This compares to 20% and 34% for all looked after children respectively. Leaving care at 16 or 17 years of age is associated with very poor outcomes: only a quarter of young people who left care at 16 years of age were in education at 19 compared with 40 per cent of young people who left aged 18 and over – and only 6 per cent of young people from all placements go on to higher education. After leaving care they are also likely to have a cluster of problems including poor mental health, getting into trouble, being unemployed and periods of homelessness. However, Lawrence House School was set up not only in response to the general poor educational outcomes young people were achieving in both mainstream and alternative provision, but specifically in response to a lack of local quality mainstream or alternative educational provision that was able to meet the needs of the young people we were looking after. As a school we believe wherever possible, looked after children should be educated in mainstream provision, but understand that in many cases it may take time to rebuild confidence and ability to learn. Our understanding of the barriers cited above, as well as the impact of multiple trauma means we build towards mainstream through intense one to one teaching and a creative curriculum that builds resilience and engagement, as well as subject knowledge. We are able to offer shared educational provision, with a mix of local college provision. Before admission we build up an individual profile of each young person, outlining as full as possible picture of the young person and their educational experience and factors influencing their future education. Where there are gaps a range of tests will be completed to develop that full understanding. Educational targets are set through the IEP incorporating ECHP and PEP. Each young person has their own individualised timetable which covers as a minimum English and Maths and a specialised mental health programme designed to build resilience and re-engagement, which is linked to physical development and PSHE elements in the curriculum. 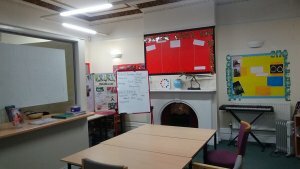 Amongst our team of tutors we also have expertise in maths, English, sciences (understanding the world), physical education, creative arts, drama and PSHE. We have young people on a range of syllabi up to and including GCSE and teach both in classrooms and in settings within the community where young people are able to do voluntary work or achieve awards such as Duke of Edinburgh. Nicola Sothern is our Senior Manager for Education and oversees the school’s curriculum and strategic improvement. 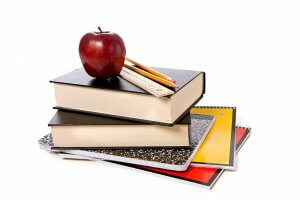 Nicola is a qualified teacher with over 12 years’ experience. She has worked in numerous schools and was rated as Outstanding consistently for a period of 12 years before her role developed and she joined senior leadership teams. Her responsibilities within schools have included Mathematics Leader, PSED Leader and ASEY’s Leader. She also works in conjunction with Edge Hill and Liverpool Hope Universities as a school based mentor for trainee teachers. 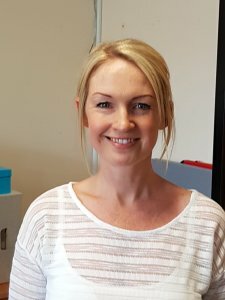 Our Education Coordinator, Fay Donnelly, is a qualified teacher with over 10 years’ experience and she assures the day to day operation of the school and the progress of each pupil. 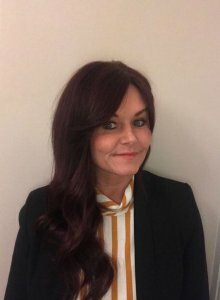 After completing her BSc in Forensic Science Fay completed her PGCE and QTLS with experience teaching in a range of education settings. She has experience teaching students from diverse backgrounds and with a range of specific educational needs, SEBD and learning difficulties and one-to-one mentoring to support young people with mental health issues. Fay also has training in CBT and a Certificate in Counselling Skills from the University of Huddersfield and has recently completed the National Professional Qualification for Senior Leadership. She continually seeks to impart her passion and enthusiasm for learning to students by delivering engaging, challenging and inclusive teaching programs. Fay’s focus is on developing Educational Resilience and students’ intrinsic motivation for learning to assist in overcoming any barriers to educational achievement. Maria Cole is the school SENCO and English teacher. She has experience of working with students from key stage one to keys stage five, in mainstream and special needs settings in the UK and abroad. 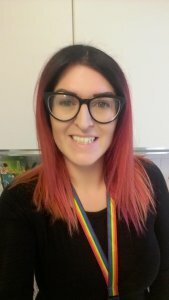 In addition to her PGCE, Maria has the Advanced Diploma Special Educational Needs, Postgraduate Certificate in Special Educational Needs Coordination and National Award SENCO.